The title of this post may seems a bit overwhelm, as I will not directly speak about the game, but about something this game is currently hiding. 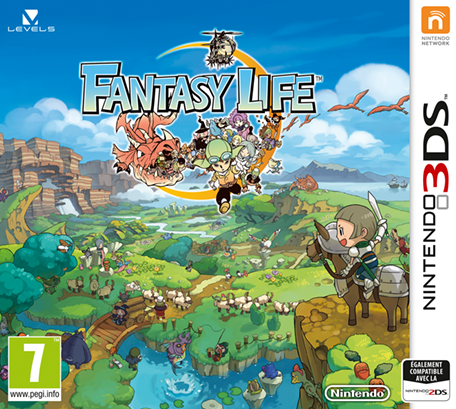 For those who aren’t aware, Fantasy Life is the latest RPG from Level 5 release to the Western World. Level 5 are known for their work on their work on the Dragon Quest games, the Professor Layton games and a lot of other games on Nintendo systems. But like I said, the problem is not the game itself or its gameplay, not who made it, but a deep problem about how the Nintendo 3DS is working, and Fantasy Life is maybe not the first game to do this (but I suspect this is fairly new), but will, I’m sure will not be the last. Fantasy Life store ALL of its save data on the SD card. Not a big deal when saying it this way, but it provoke a real problem. Yes, whatever if you are buy the eShop version or the physical version you will need a SD card to save your game. You may tell me that there are already game that use the SD card to store stuff, like DLC, but here the problem is different. Let’s say you have multiple Nintendo 3DS consoles (at least two). When you buy a physical game, it will store it’s saves in the cart itself, and you will be able to play on any systems you own. With Fantasy Life you can’t. You may tell me “Swap the SD card” the answer is No, you can’t it won’t work, you CANNOT start this game on one console, and continue it on another. Does this remind you something? 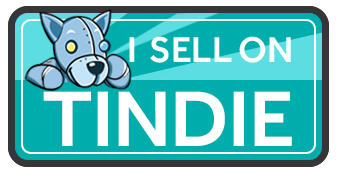 Like eShop games? As for eShop title, the only way to transfer it is to use the transfer tool, but you can only use it once every 7 days, and it’s a slow process as it will copy everything from the source console to the destination, destroying everything on the destination. The worst situation (which is mine) is that if you have started to play on you non main console, and in this case you are just completely screw as you can’t erase you main one for just one save as you will loose all of your data, and transferring from your main to the other one will just destroy the capability to use the save.You are just screw forever without the ability to do anything. I will not says that Level 5 choice to store the save on the SD card is a bad idea, they may have lots of legitimate reason to store there (like the need to store lots and lots of data) I don’t know why they choose this, but in the way the save are stored is just the terrible way to do, in fact, I think this situation is just the most annoying they can get. A physical game that you can use on every console you want as usual, but the save games can’t be transferred between consoles like a normal cart does. At least with eShop game, you know this limitation, and you buy it with you main console. You can pass this paragraph if you are not interested in the technical part, i.e. how the data are stored. Again, this is NOT a rant against the game itself, which is actually a pretty good game for all the RPG fans with tons of interesting ideas. This is not a rant about DRM to protect game you buy on the eShop, but only against the situation where you have a physical version of the game that share most of the same limitation than an eShop version have, which is not tolerable. I’d argue the game itself isn’t very good, personally. The story is incredibly short with a bad ending (and a post-game that screws over its ending), and all of the crafting life minigames are near-identical, making for a very monotonous experience. Bless your good person. I’m glad I’m not the only one who got screwed over. I like the game, despite the slightly monotonous game style that Lives like the alchemist or the cook use, but this personally upset me the most. I was using my little sister’s DS, as I had lost mine, got about 13 hours of play in, got to Apprentice level in Mercenary, Cook, and Alchemist, then basically lost all my time and effort when I found my DS again. I am not content and it would be absolutely lovely if crap like this doesn’t continue. I can see your point, but this isn’t a problem in every aspect. Consider this: in my family we all have 3DS consoles (5 in the household in total). If the game saves to SD, everyone in the house can have 3 save slots from 1 game card, instead of 5 people sharing 3 save slots. I wonder which use case is more common, 2 people sharing the same game card or 1 person using the same game card across multiple 3DS consoles. Considering all this, I’d argue that you overreacted a little. oh i am so pissed about this too. i got a new 3ds after having played around 30h of fantasy life on my old one. ofc i transferred my data, not knowing that this wouldd erase all of my progress! i cba starting anew since i already got so far and the job grinding is quite repetitive. so, goodbye fantasy life and FU whoever is responsible for this crap. Uh, why should you not be able to continue playing if you started on the old 3DS and transferred the data to the new one? You should definitely be able to take the old SD Card and put it into the new 3DS. In case of a switch from old 3DS to new 3DS (SD Card vs MicroSD Card) you could use a computer to copy the content from the old card to the new one. The Savegame should be working on the new console just fine. Because it is not the case. You can’t copy the file from one 3DS to another unless you are doing a console transfer. The files of the saves are linked to your console as for eShop games, and can’t be transfered by just copying the file.